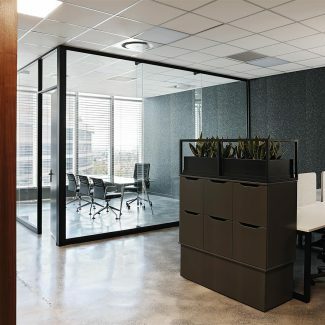 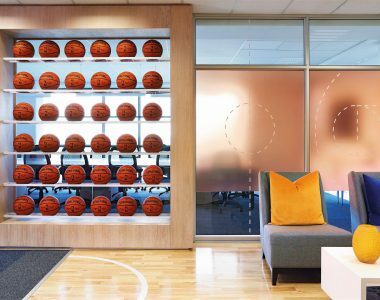 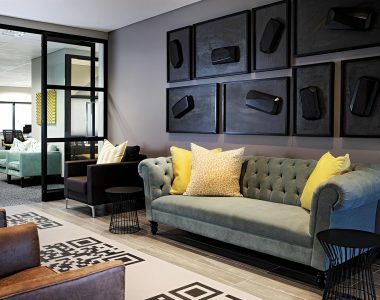 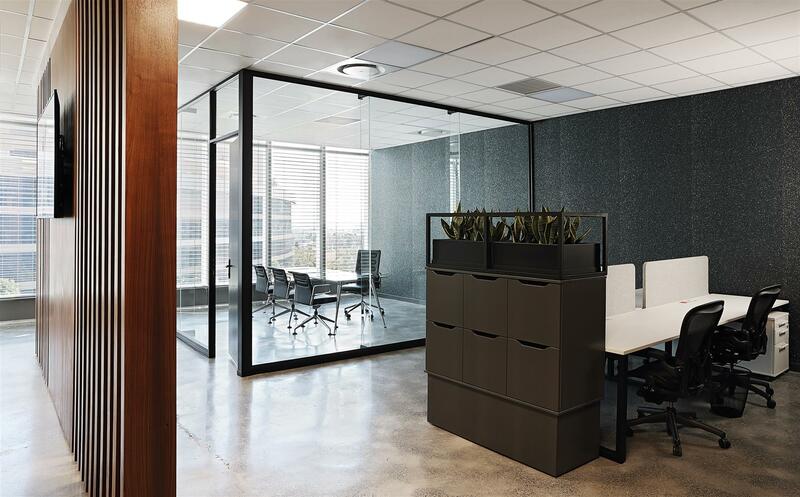 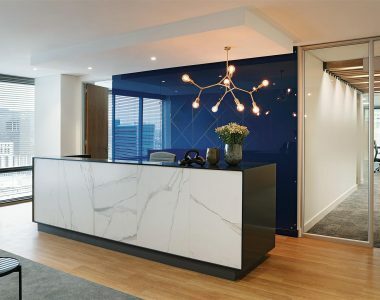 Tétris worked in close collaboration with the client to dream up a cutting-edge space for software developer Glucode’s Sandton offices. 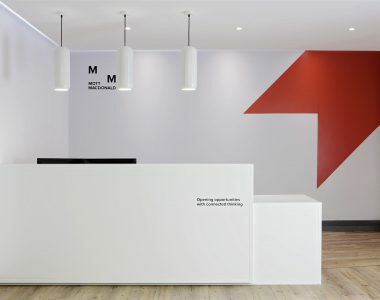 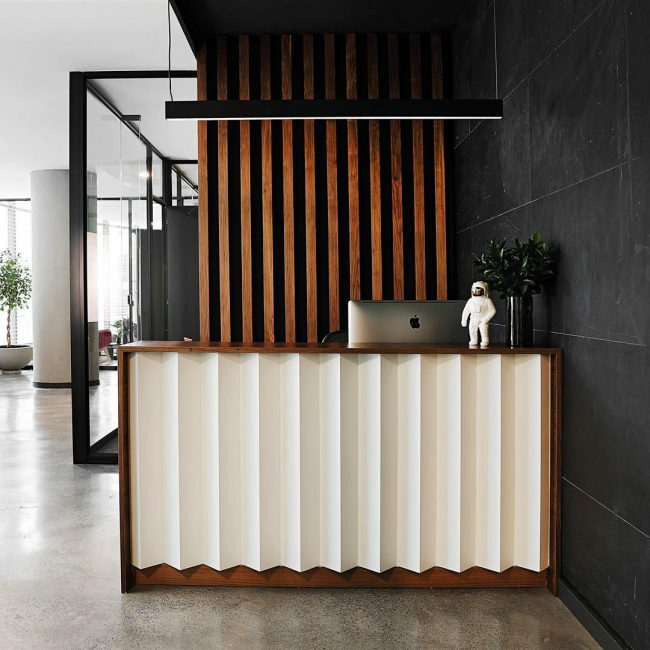 Visitors entering the reception area are greeted with a friendly wave from a spaceman statue that sits proudly on top of a fanned paper-like reception counter front, the facets of which are housed in a strong timber frame. 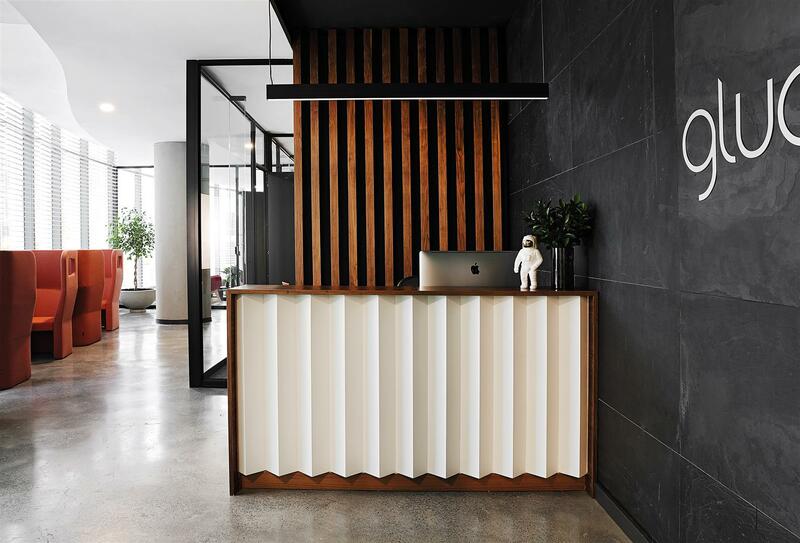 The feature wall behind the reception desk is formed from vertical timber slats in the same timber, creating highlights and dramatic shadows. 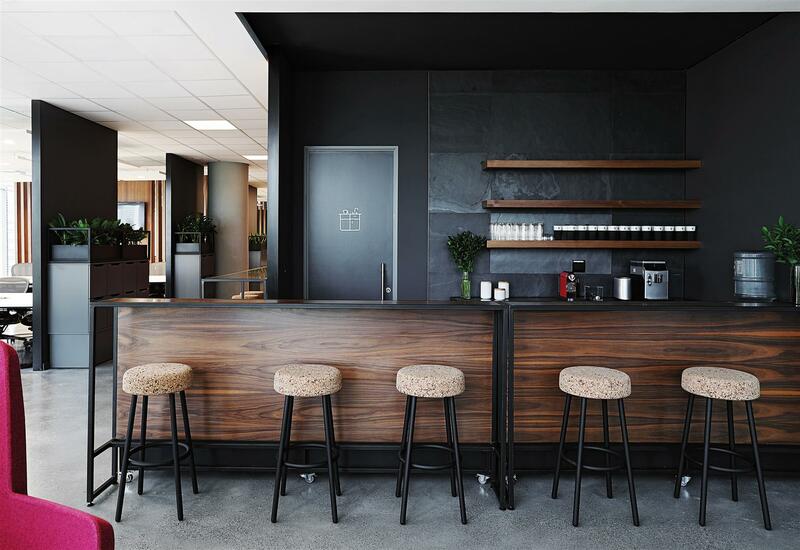 A simple linear light adorns the counter while a wildly textural slate wall stands adjacent. 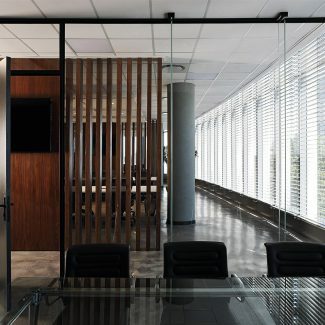 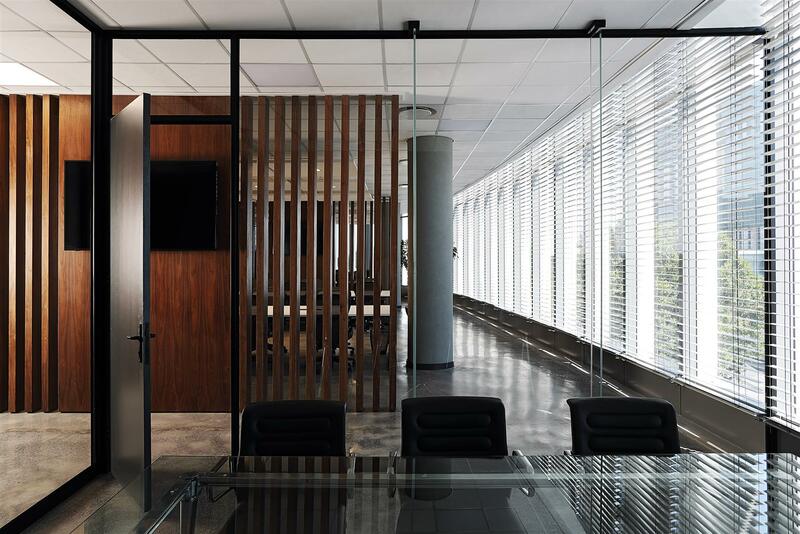 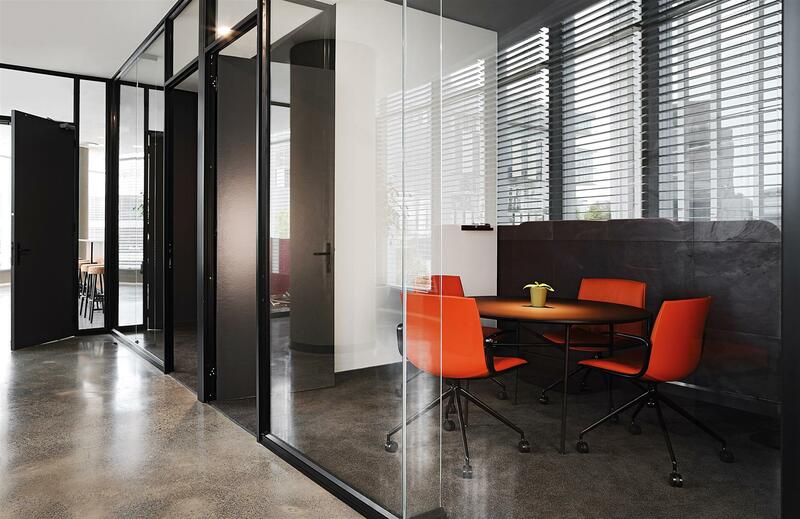 This wall runs along the length of the office and glimpses of it provide a deep and textural element that dramatically ties the interior together. 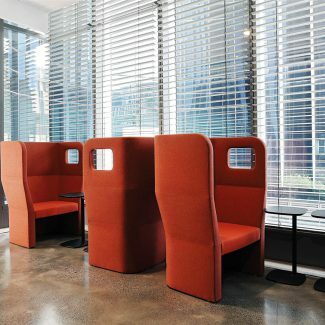 A line of tangerine acoustic chairs provide a pop of bold colour in the waiting area. 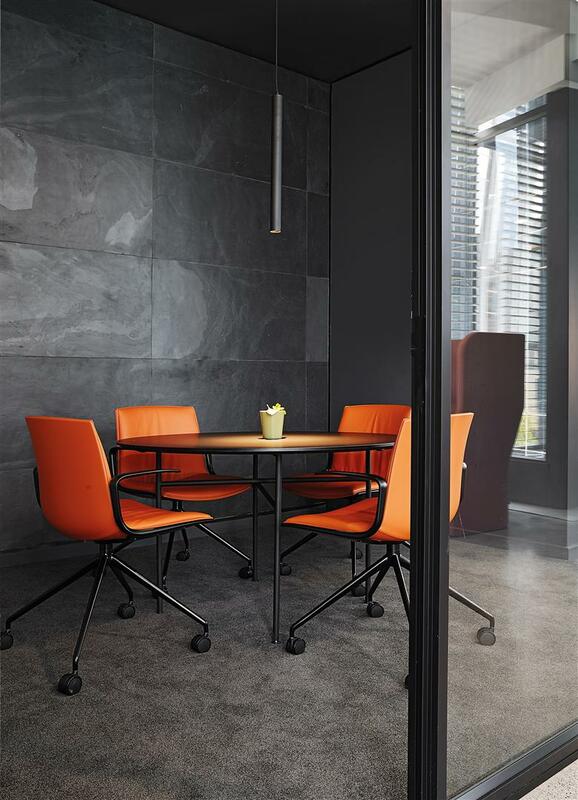 The same shade of orange is mirrored in the meeting space, in the form of soft leather for the meeting chairs. 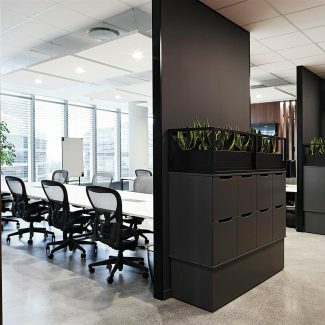 The sculptural furniture in this space is crafted from black frames and is fully visible through the three metre high glazing that separates the cellular and open plan spaces. 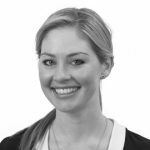 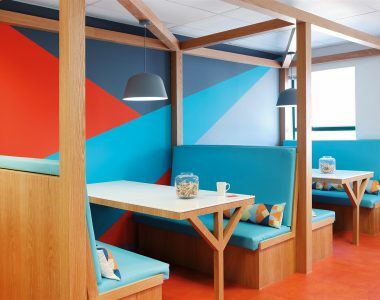 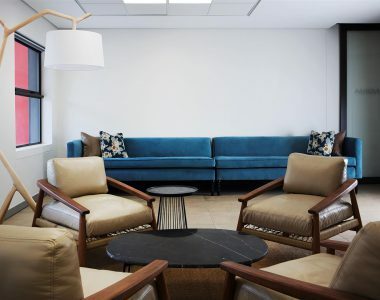 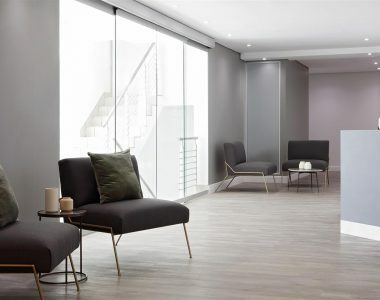 The open plan work areas consist of less formal team tables that allow for flexible ways of working where staff can come and go, finding a space to work when they are stationed at the office. 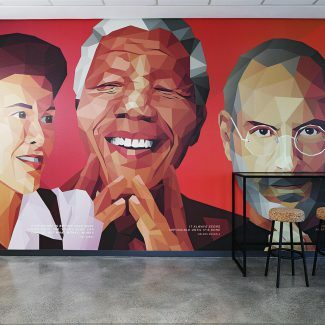 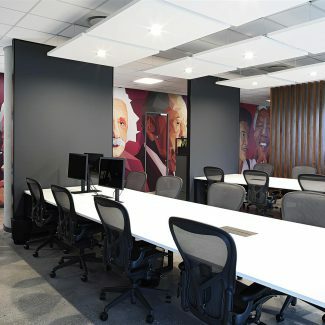 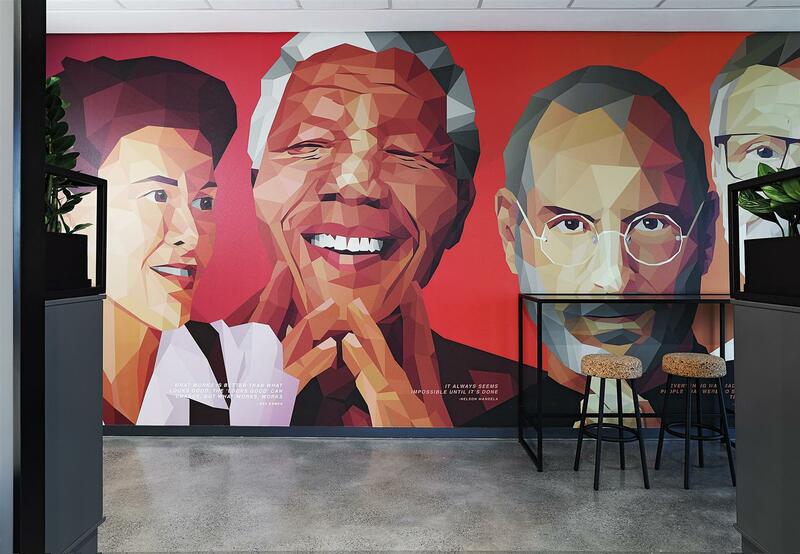 The charcoal walls and floors are lifted by the strong wallpaper that features inspirational icons depicted in a Modern Cubist custom designed graphic: Nelson Mandela, Steve Jobs, Ray Eames, Einstein and Picasso. 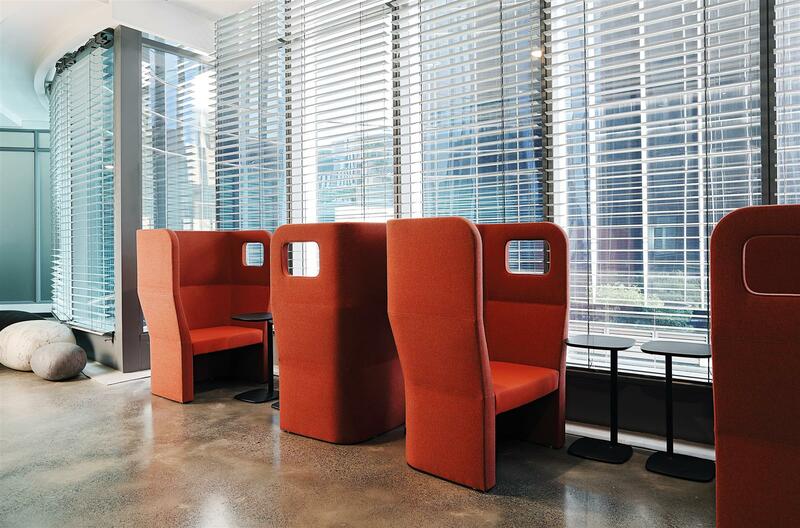 Warmth is achieved with the use of timbers and plants that balance out the cool greys of the finishes. 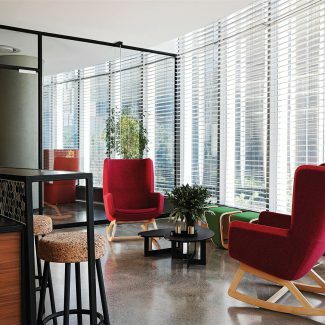 Timber slats provide visual divides in the working areas. 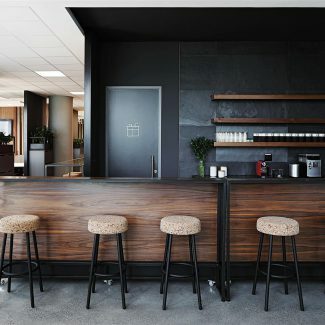 The break-away kitchen is also carefully crafted from timber, featuring cork bar stools. 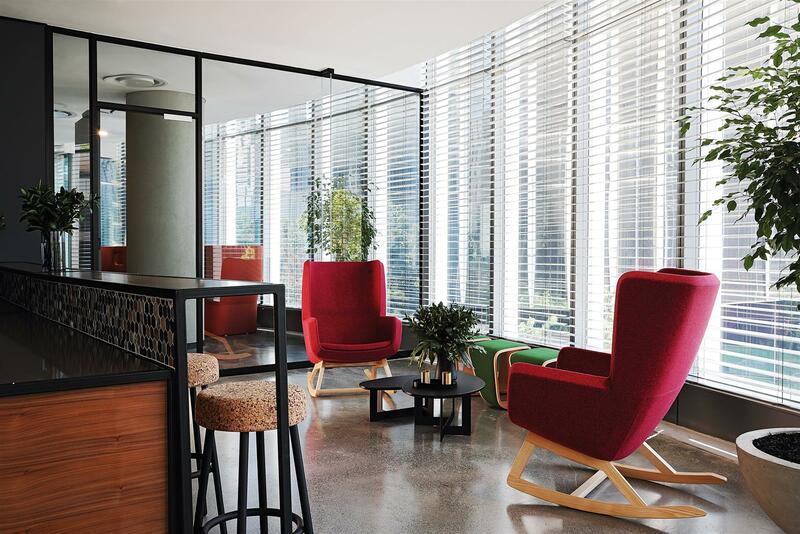 Collaboration is key throughout this pause area and is further encouraged in the informal seating, which comprises two rocking chairs in a warm red and a pencil shaving inspired green bench. 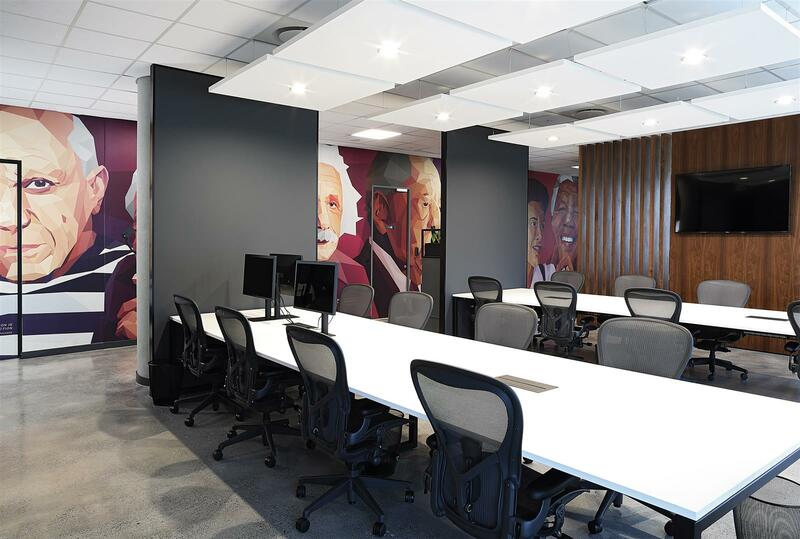 The space is one where innovation happens on a daily basis! 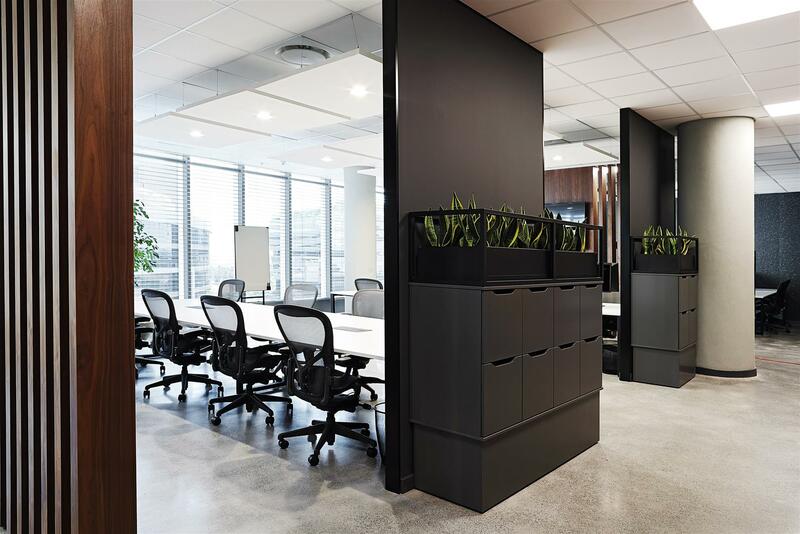 Tétris took care to deliver a design and interior fit-out that constantly encourages staff to engage in collaboration and teamwork.